There is a new south end hotel, the Revolution Hotel on Berkeley Street where the YWCA used to be. A bar is made from the oldest tree in Boston. They have marked the rings with key events and the walls have a mural with revolutionary figures. 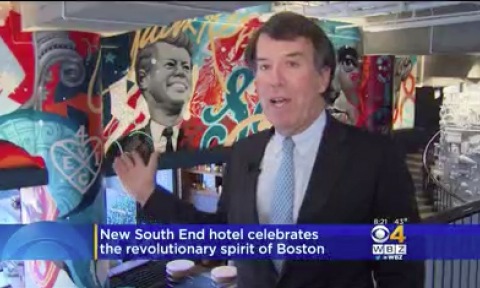 “We remind people that Boston has been a center of innovation unlike any city anywhere.” (said Bruce Percelay) In case you are considering staying in the city for a night, the average room rate is about $150 per night.